Come along to our scrap along! Bring your fabric scraps to my place. We can swap, sort, iron and cut... we'll have a merry time. It sounded like far too much fun to refuse, so on Friday morning Scallywag and I toddled along to see what it was all about. And do you know what!?! It was lots and lots of fun and super inspiring. I took along all the boyish fabrics that I could find as I wanted to make a baby quilt for a very special wee man who has recently been born. When choosing fabrics to take with me I didn't have any idea what I wanted to do with them, but talking to the girls I came up with a plan. 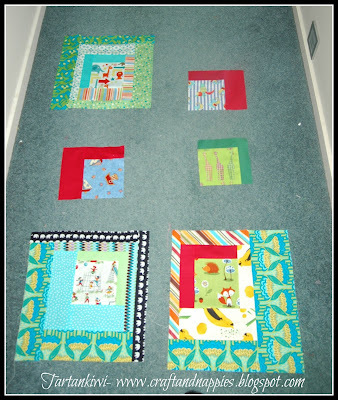 I made a start on cutting fabric while I was there and was totally inspired to crack on when I got home. Luckily Rascal and Scallywag played along and they both had longer than usual day sleeps, allowing me to make three log cabin blocks straight off and hatch a plan for the other blocks. I was excited to carry on over the weekend, but somehow things didn't flow. 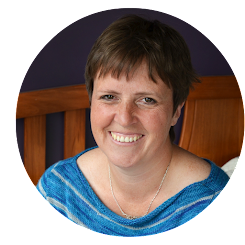 I found myself unpicking and second guessing myself like anything. I pressed on though and by the end of the Saturday afternoon I had a completed quilt top. 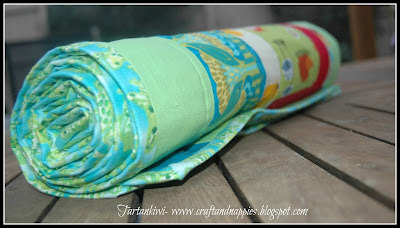 Monday required a trip to a fabric shop as I didn't have enough fabric for the backing. 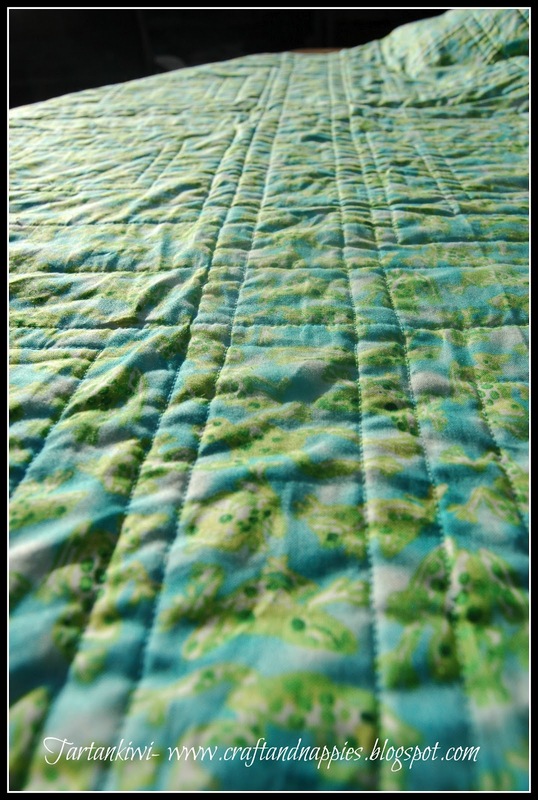 Luckily I found the perfect fabric on the clearance table so I rushed home, quickly basted the quilt and started quilting. As this was my first proper attempt at quilting and this is a gift, I decided to play it safe and just do straight line quilting (sorry Molly!) This was the first real trial for one of my new toys- a walking foot. It did the job brilliantly and I am really happy with the result. 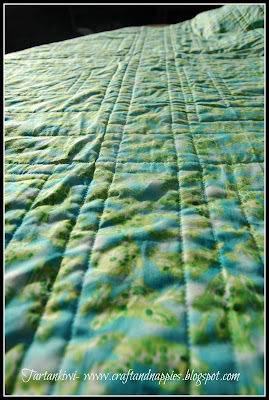 Yesterday, I finished off the quilting and added the binding. I had a bit of a panic when I realised that I had completely forgotten about binding fabric when I was in the fabric shop, but in the end I just had enough of the backing fabric to make some binding. 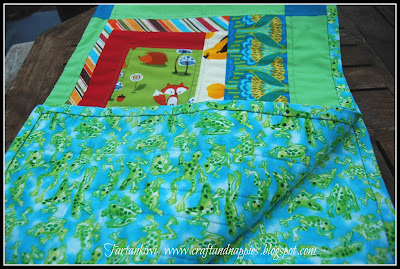 The only thing is... Much as I would love to do the full reveal, the parents of the recipient of this quilt know of my blog and I don't know how regularly they drop by. I don't want to spoil the surprise so in the meantime all I can do is show you teaser shots- sorry! In other news, the sampler quilt is making slow but steady progress. This week I made another block from the Modern Blocks Books. With my prehistoric archaeologist past, it was impossible to resist a block called Stonehenge, so here it is. Its not the style of block that I normally choose, but I'm really happy with it and I think it sits well among all the stars and more intricate paper pieced blocks. I think I may have to do more of these kind of blocks in the future! For more Works in Progress, pop over here. 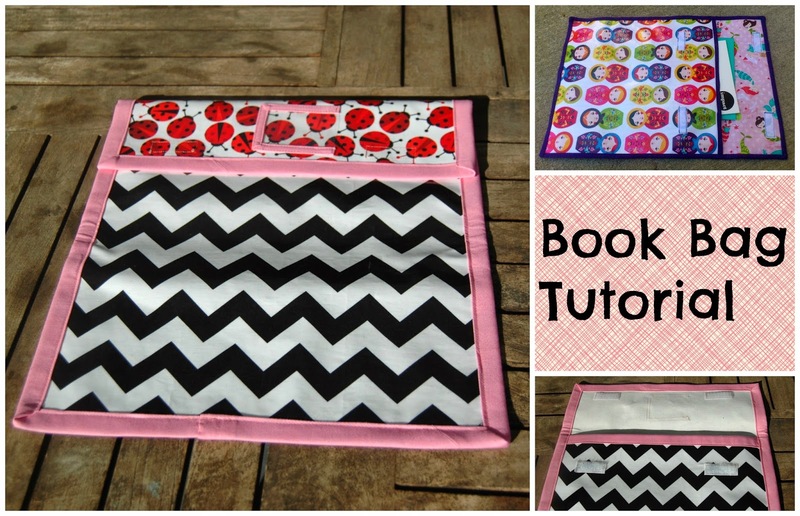 Well done on making your first quilt! The sneak peeks look fabulous! I bet it will be well received. As usual -am loving your blocks together. Looking great! Well done with your first quilt!!! Great job on finishing your first quilt!!! So exciting to hear that you have finished it already and I love, love the backing you found. We must have more Scrap Along days and get others to join us. congrats! It looks like a really fun quilt for a little boy, I'm looking forward to see the full quilt :)And boy that is quick! 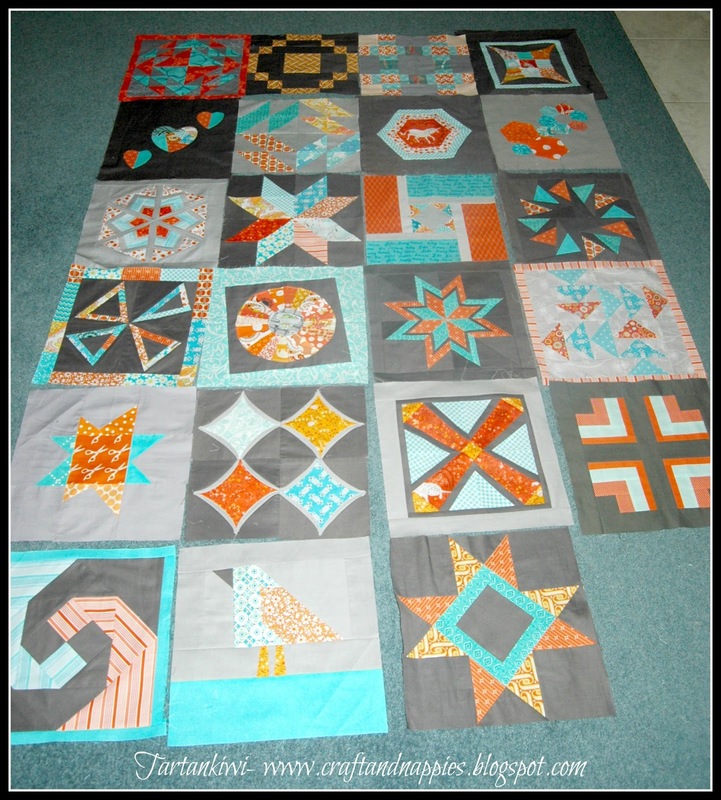 Also your quilt is coming together beautifully... all the blocks work so well with each other. 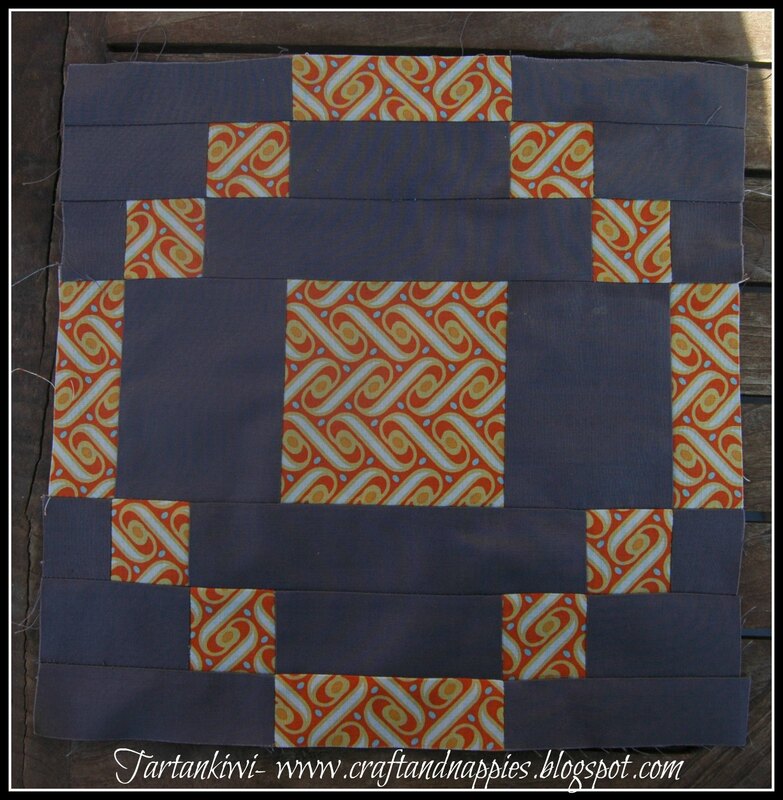 Congratulations on your first completed quilt - it sounds like you had a lot of fun in the process (minus the unpicking). 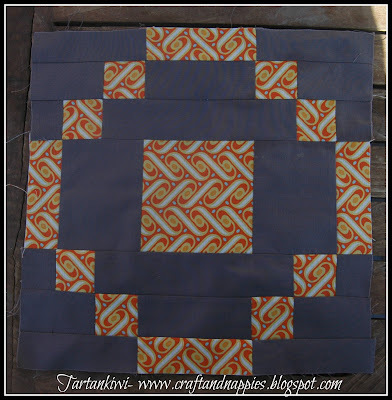 I am loving your sampler, too - it's a great idea to intersperse some simpler blocks. Stonehenge is lovely! p.s. 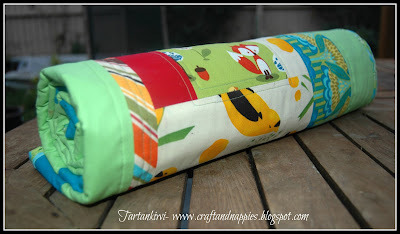 thanks for linking up to WIP Wednesday, and for your lovely comments! Congrats on finishing your first quilt!! Looks fabulous - as do your other WIPs!! Great work - I'm SUPER impressed! 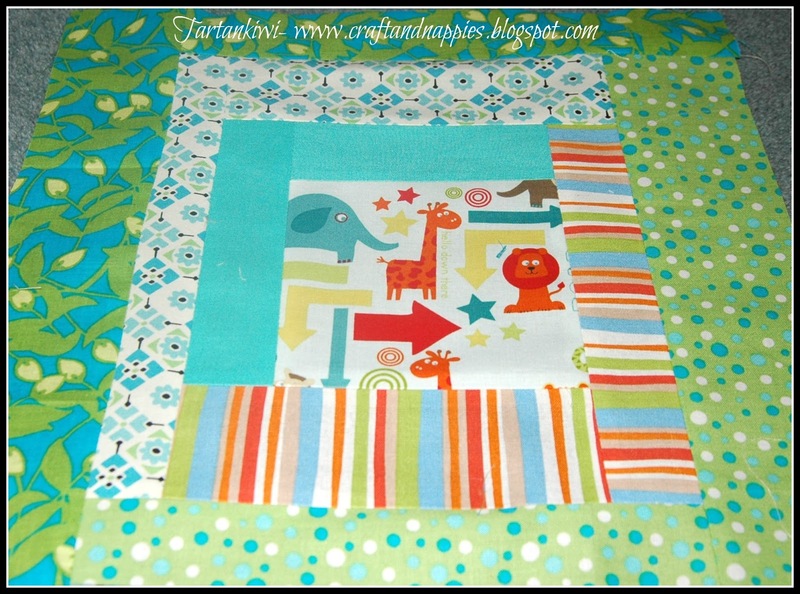 great job on the baby quilt - the backing fabric works really well. I can't wait to give you my sampler block tomorrow - squee - evens up the numbers! 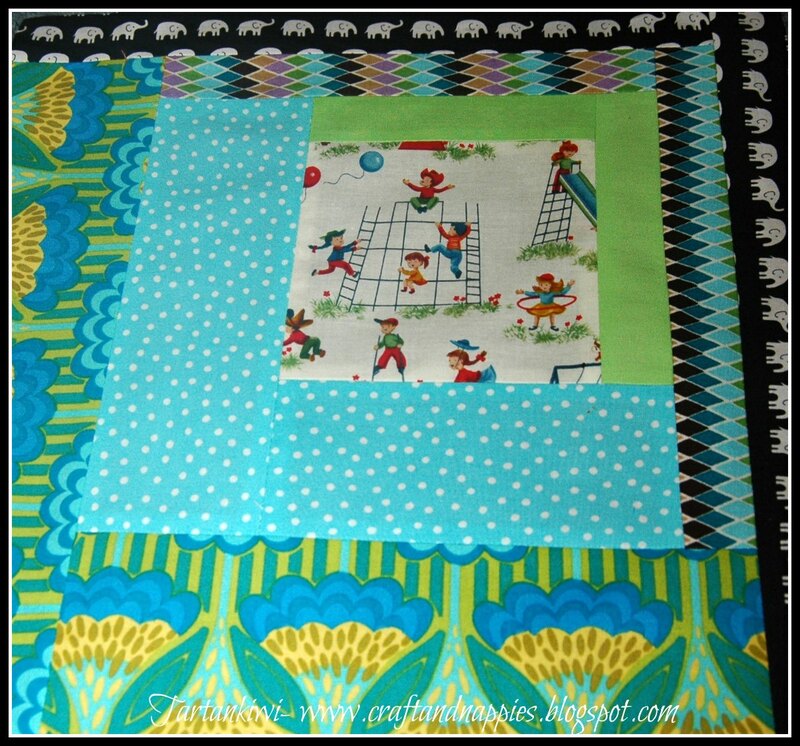 Oh my Juliet- no apologies necessary- this is a gorgeous little boy quilt and the quilting looks fantastic- walking foot- darning foot- it all does the same job- quilts together our quilts, and I am impressed at your first attempt- so pat yourself on the back... 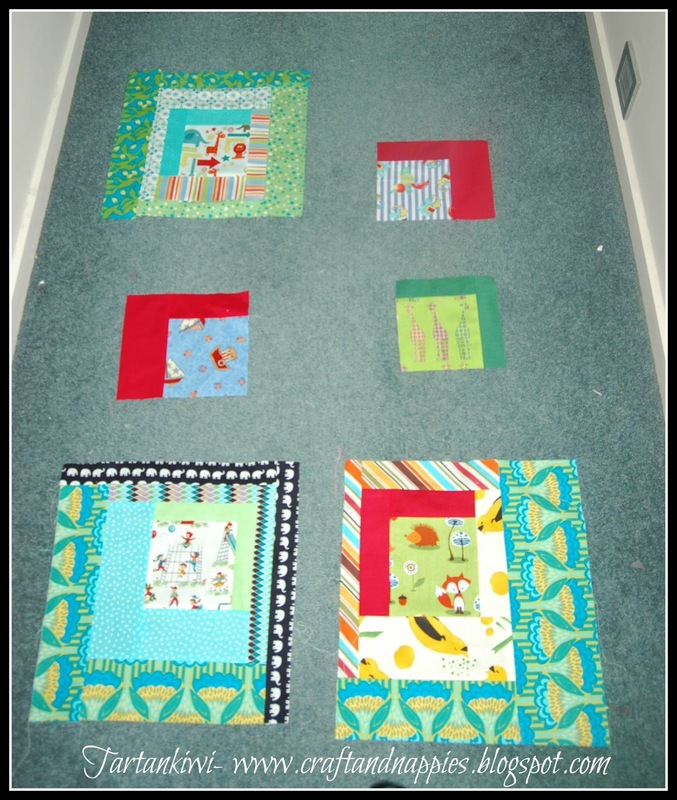 I didn't FMQ a whole quilt for months after starting- just stuck to smaller projects like pillows and such- a whole quilt can be a bit intimidating. these blocks all look amazing together....what a beautiful job. 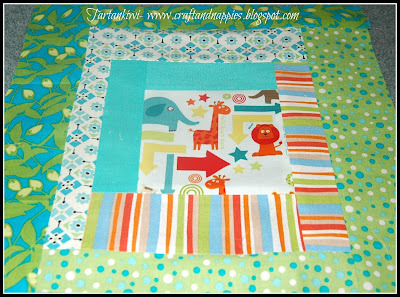 i also love those scrappy blocks.